I swear it’s starting to be a bad habit, leaving the office and I notice that my device is at 38% and I know for a fact I can’t make it through the evening. 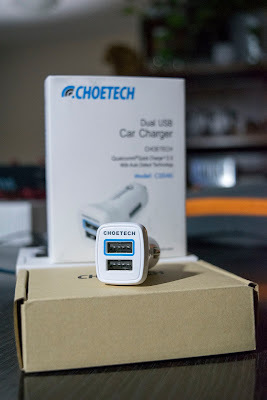 This is where CHOETECH’s car charger which supports QC 2.0 comes in to save me in a pinch. 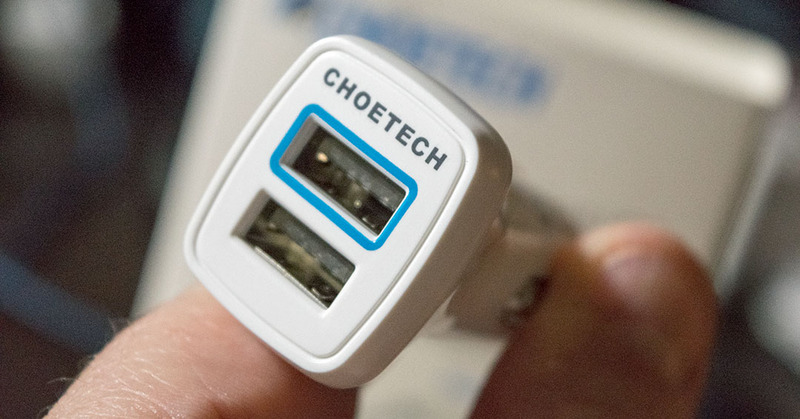 Easy, small and fast is what this gem does and for $7.99 on Amazon Canada… Need I say more? Sure, I can! On most days we sit in the car to go to work an average of 30 minutes per ride, which means, if the device you use supports it, you’ve just topped yourself up by a lot. The first port on the car charger delivers you the optimum speed with QC 2.0 while the second part will provide a maximum out of 2.4A. What you get is CHOETECH 27W Smart Dual USB Quick Charge 2.0 car charger and the peace of mind that you know your digital life is saved. 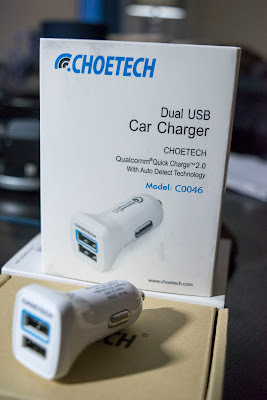 Beside, CHOETECH has awesome customer support and an excellent warranty system in place.